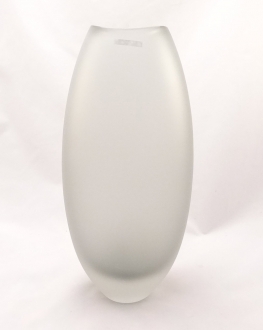 Frosted Satin Finish Murano Glass Vases - Murano Glass - Murano Glass Gifts Co.
We recently added to our collections Nason Morretti frosted satin finish modern Murano Glass vases. Famous Murano Glass maestro created these gorgeous art pieces using two major Murano glass techniques: Sommerso and acid-etching surface treatment to create silky satin frosted finish. 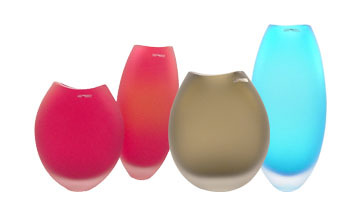 Exceptional quality and extraordinary craftsmanship.Striking and vibrant colors, heavy solid glass. 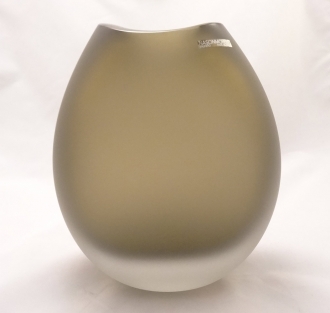 These Murano glass vases sold in two different sizes and could be sold in pairs or separately.